Young Jin and Dong Min collectively decide that the brother can visit Jae Yul. Jae Bum shows up, admits that he knows who the true culprit is behind the murder. Jae Yul apologizes, but an angry Jae Bum throws him on the ground and starts to kick him while asking what is he sorry about. The caregivers rush in and Jae Bum reveals that he would not have told the prosecutors to take his mother away either, because, after all, he also came from mom’s womb. 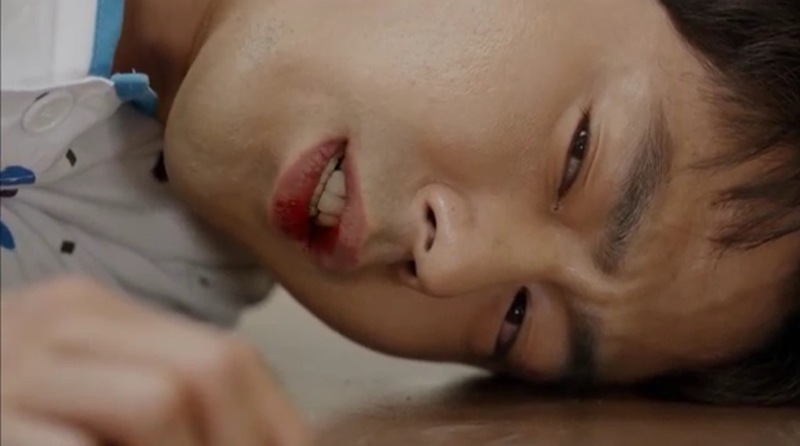 Jae Bum shakes free of the caregivers and tells them to cleanup Jae Yul’s blood. He walks away in tears. 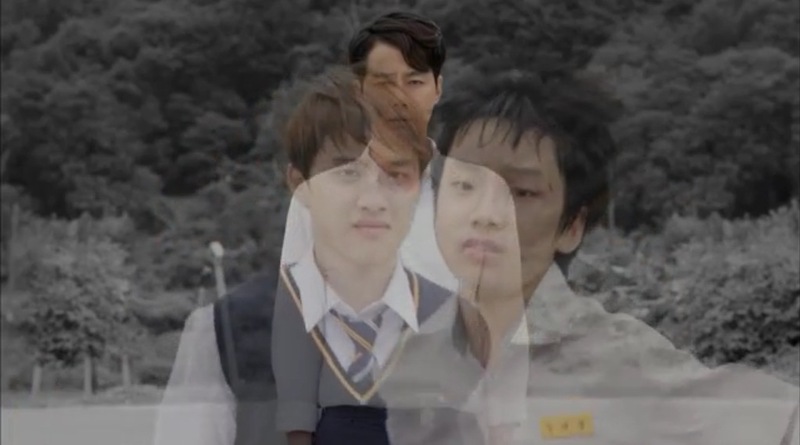 Hae Soo overhears Young Jin telling Dong Min that it was a good idea for the two brothers to meet. A relieved Hae soo then walks away. Back at home mom and Tae Yong are watching Jae Bum eat up a storm. 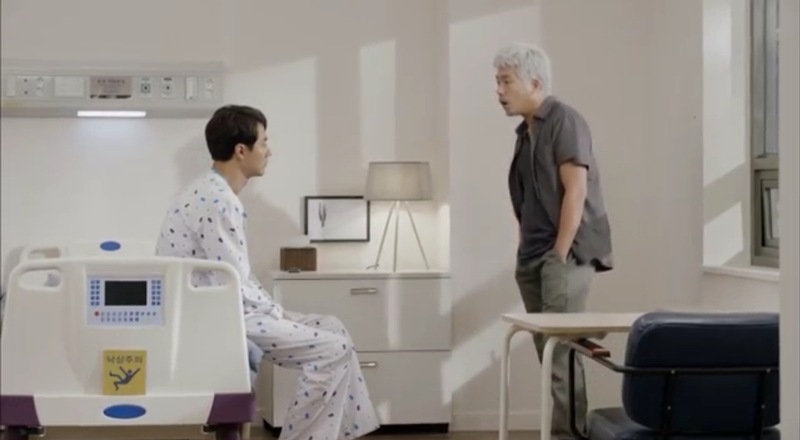 Mom says he has been like that since he returned from the hospital visit, and Tae Yong tells mom Jae Bum asked about Jae Yul’s discharge date. The two believe these are signs that Jae Bum has finally forgiven Jae Yul. Hae soo watches Jae Yul in secret because she was disciplined for the last visitation. Although she thinks she is being discreet, Jae Yul is aware the entire time. During a family visit, Jae Yul tells mom that he does not see Kang Woo anymore and tries to convince her to let him out. She says no, but eventually relents after he confesses that he knows about Hae Soo’s visits outside his door, and he cannot drag her through life like this because he surely will have relapses. Mom gives him a hug and agrees. 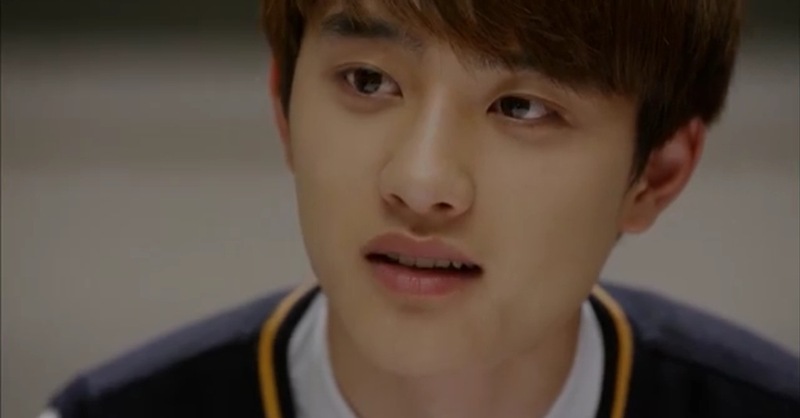 From the side of his eye, he still sees Kang Woo. the ever present kang woo. Jae Yul bids Hae Soo farewell. He tells her that being in love means being small in front of someone else, but he promised himself that he will never be small in front of anyone after growing up abused. He says even if this makes her think that he loves her less, he still will do things his way. He kisses the crying Hae Soo and tells her this is good practice for future breakups. Jae Yul goes home with mom and Tae Yong. He looks out the window of the car to see Kang Woo. He questions what exactly is Kang Woo. Meanwhile Hae Soo is a complete wreck. She is suspended from patient treatment for two months, but the only thing she is interested in is how to snap Jae Yul out of it. The family seems to be normal again, but there is something tense in the air. Jae Yul goes out for a ride (in the bicycle) and gets a text from Hae Soo telling him she misses him. Suddenly out of nowhere Soo Kwang and Dong Min surprise attack him. At home, mom is scrubbing Jae Bum’s back. Jae Bum gets upset that mom is always cleaning so he asks if she thinks everything is dirty, including him. She replies that she probably feels this way after she and Jae Yul fell into the public outhouse. Apparently it was the outhouse Jae Yul ran to when he was getting chased by his step dad. 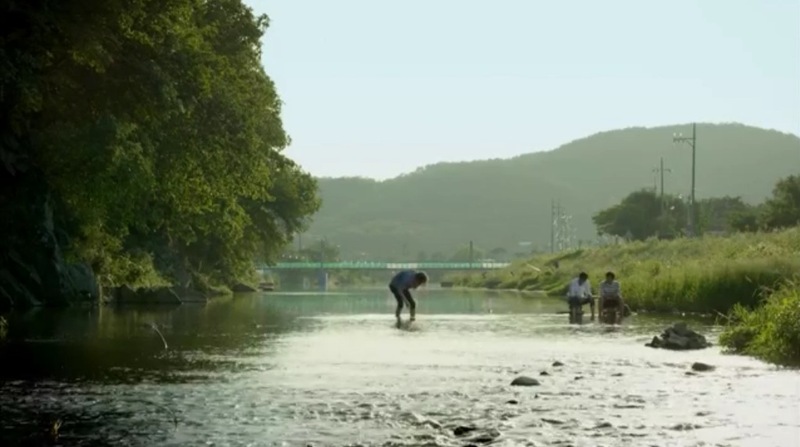 The pair then washed themselves in a nearby river, which is the scene Jae Bum saw, thinking they were having fun without him. Having learnt the full story, Jae Bum gets up and tells mom to scrub his back again. In the middle of the scrub, mom notices black hair growing on Jae Bum’s head. Dong Min tries to convince Jae Yul to come back to the hospital for treatment and get back with Hae Soo. He is sure that Jae Yul still sees Kwang Woo because if not, Jae Yul would already have gone to see Hae Soo. Before they leave, Soo Kwang tells Jae Yul that “me, Dong Min and Hae Soo are real. Kang Woo is not.” He even threatens to stop calling Jae Yul “hyung” if Jae Yul does not come back. Hae Soo’s mom insists that she go study abroad. Hae Soo objects, and calls up Jae Yul only to say “I’m Hae Soo” before hanging up. A slightly confused Jae Yul puts the phone back in his pocket and rides on when it suddenly rings again with Hae Soo blurting out that it has been over a week since he left her. She inquires if he is feeling well because she is uneasy. This time after she hangs up, Jae Yul waits for her third call. As expected, she calls back, and all he got in was her name before she hangs up. Jae Yul takes the initiative and calls her. She tells him that he made a mistake years ago when he did not tell the truth to his brother or the lawyer, and he is making another mistake now by leaving her and denying her help. She continues on to say that this is the last time she will call him, and they will remain broken up as long as he sees Kang Woo. She says once they hang up, he will probably see Kang Woo again, and he should concentrate really hard to figure out if Kang Woo is an illusion. Just then, Jae Yul sees Kang Woo biking towards him. Jae Yul denies the fact that Kang Woo is an illusion. Hae Soo tells him to look very carefully and to find a contradiction. She says to hurry and find it because she loves him so much. 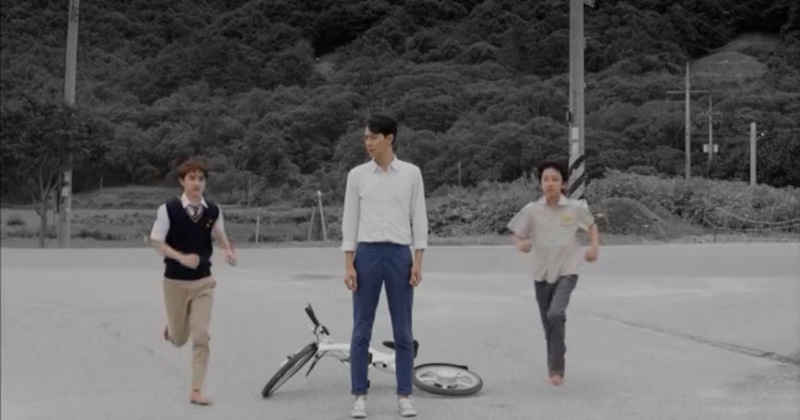 Jae Yul looks really carefully and suddenly he realizes that Kang Woo is not wearing any shoes. Slowly, Jae Yul asks how long has it been since they met, Kang Woo replies three years. Jae Yul asks what grade he is in and Kang Woo replies second year in high school. It clicks for Jae Yul as he realizes Kang Woo has not aged these three years at all! BOOM! Jae Yul bursts through the gate of Hae Soo’s house, completely out of breath. They embrace and he fumbles over his words as he tells her his revelation and begs for her to help him. At home, mom is packing for Jae Yul and Jae Bum walks over to hand her a gift. The gift is a box of roses (remember the flowers he used to make in jail?). Jae Bum tells mom (in his demanding voice, of course) to not cry because Jae Yul will be cured this time for sure.